VELUX SUN TUNNEL skylights are designed to provide natural light into corridors, stairwells, bathrooms and cupboards, under pitched roofs, where installation of a skylight or roof window is not possible. 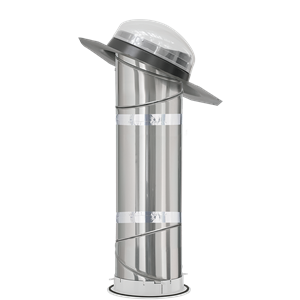 The VELUX flexible tunnels provide installation flexibility. Flexible tunnels can be used when the distance between the roof and the ceiling is too small or too great for a straight – or rigid – tunnel. 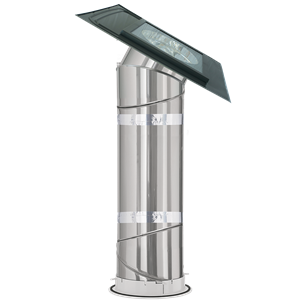 A VELUX SUN TUNNEL skylight is easy to install, regardless of your roof type.